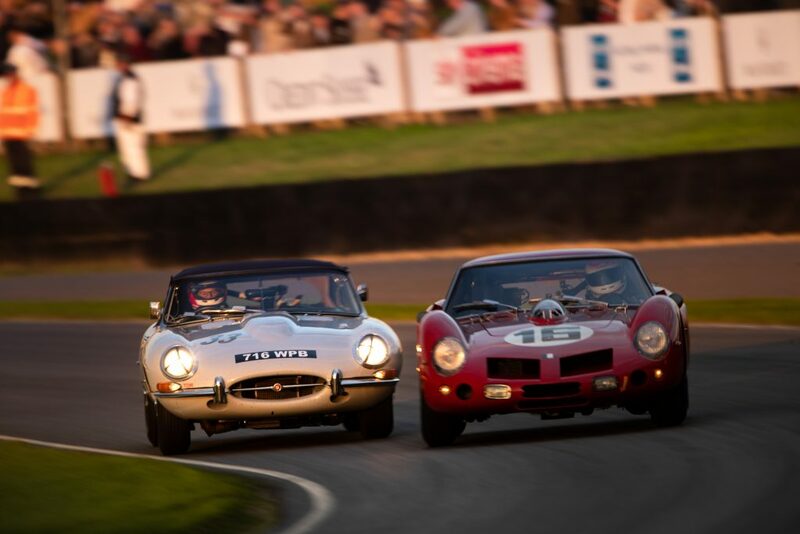 Adam Lindemann and Richard Meaden shared the former’s early production Jaguar E-type over the weekend. 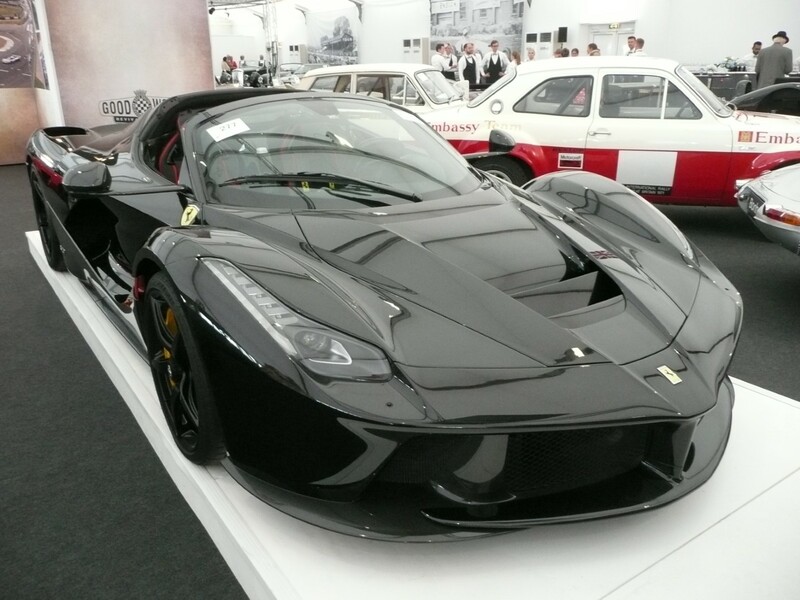 “Over the road” at Bonhams, this nero-liveried, 2015 La Ferrari was one of the auction houses star lots. 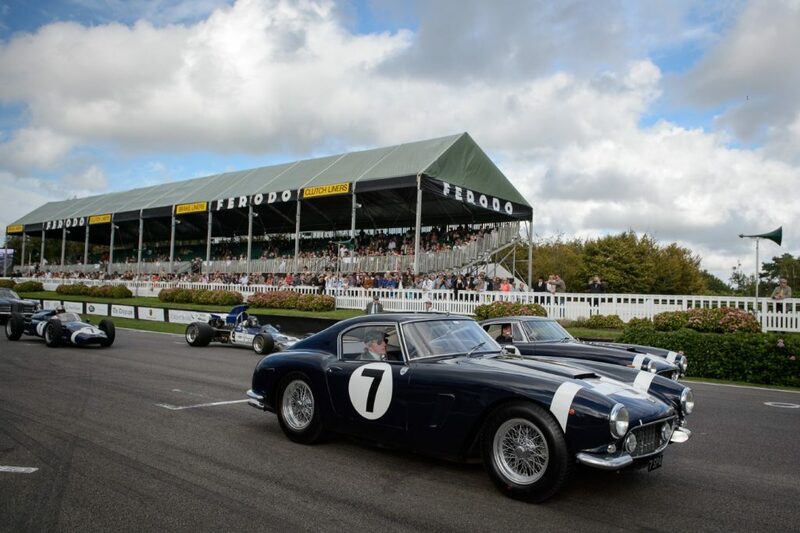 The celebration of the Rob Walker Racing Team was lead by Sir Jackie Stewart and Ross Brawn, aboard the latter’s Goodwood TT-winning Ferrari 250 SWB. 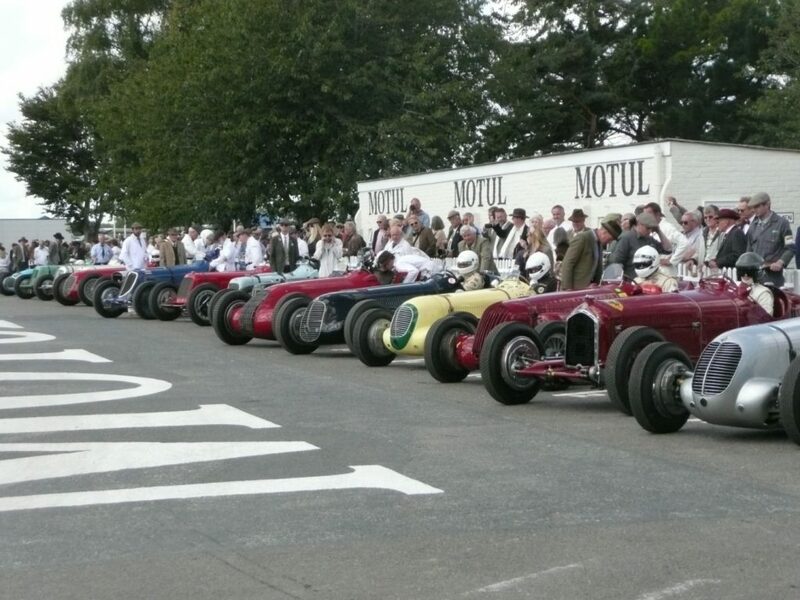 Goodwood Trophy competitors with pre-1952 Grand Prix cars, prepare to leave the assembly area, with winner Callum Lockie aboard Sean Danaher’s Maserati 6CM, closest to the camera. 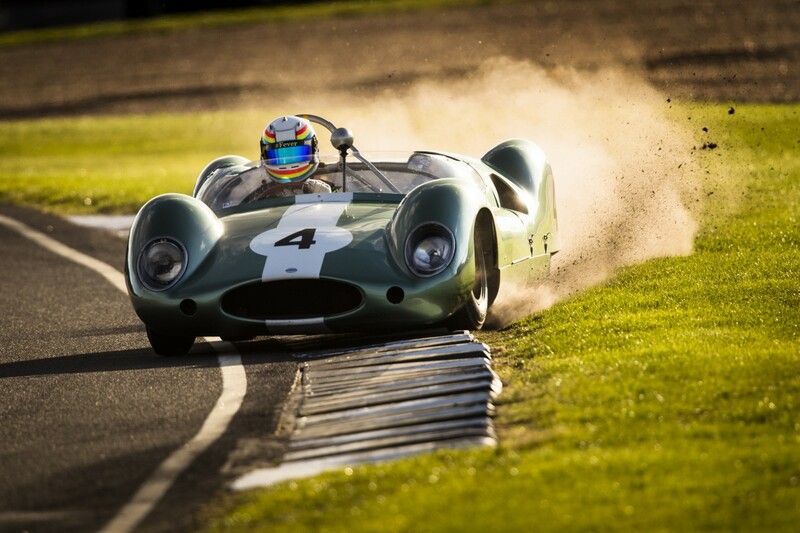 Settrington Cup competitors enjoyed a double-header over the weekend, all in Austin J40 “pedal” cars. 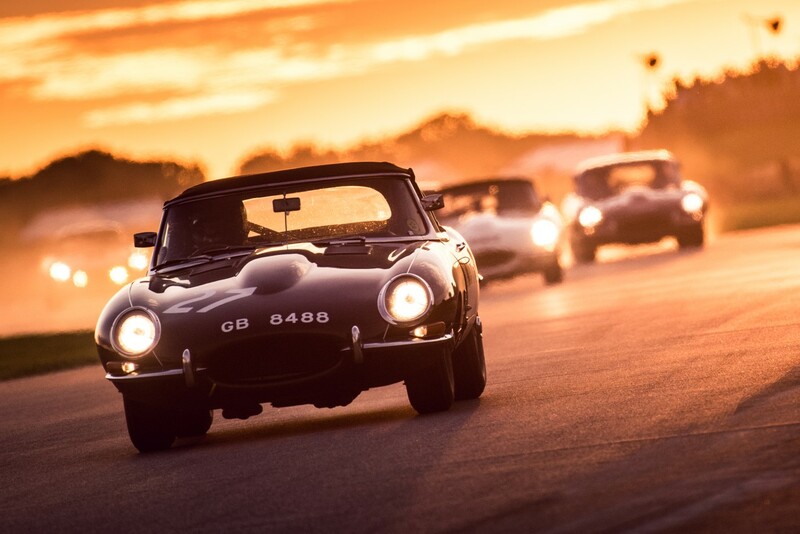 From 1948 until its closure in 1966 the former RAF Westhampnett, at the base of the Sussex Downs, was a prominent venue in global motor-sport. 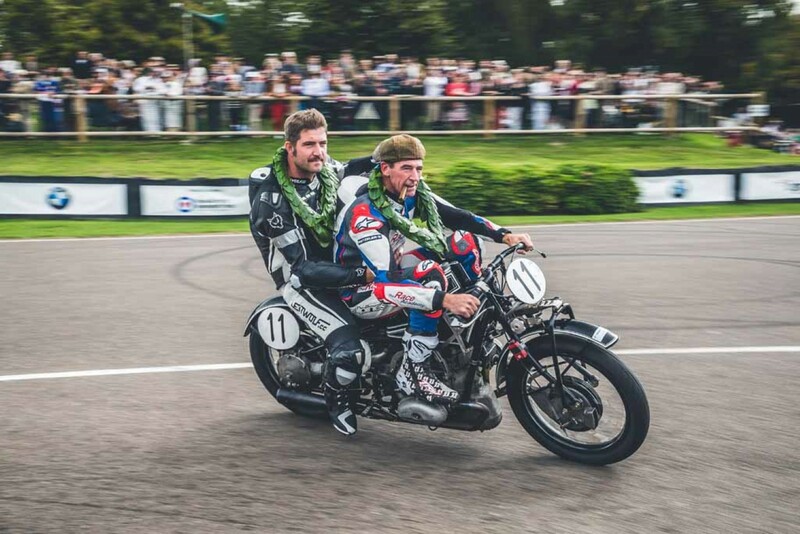 Opened by the current Duke of Richmond and Gordon’s grandfather its war-time contribution and that of its entrants and competitors is celebrated annually at the Revival. · Platinum anniversary of the first British Grand Prix of the modern era. 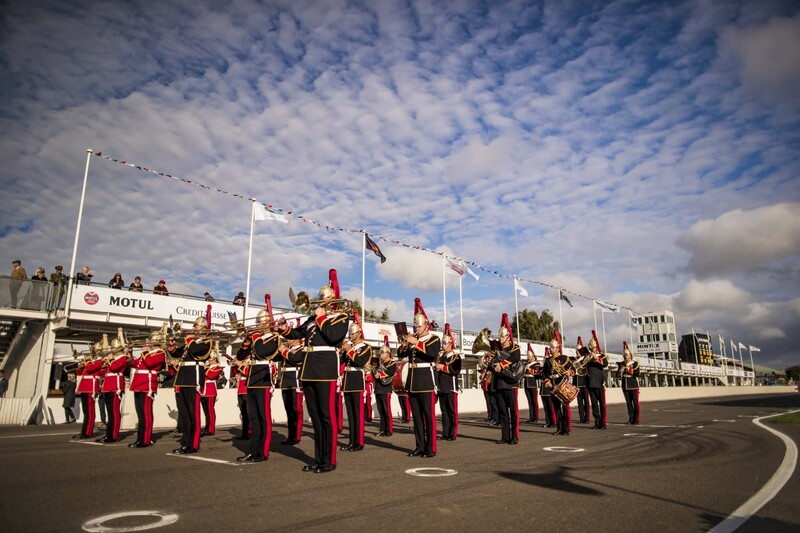 · Centenary of the Royal Air Force. · The seventieth anniversary of the British Transport Commission assuming control of the UK’s road and rail network infrastructure. · Sixty years since our former Club President, the late Jack Sears, won the inaugural British Saloon Car Championship in his Austin A105 Westminster. · The Golden Jubilee of the all-action, Oscar and BAFTA award-winning movie “Bullitt”, co-produced by and starring the late Steve McQueen. 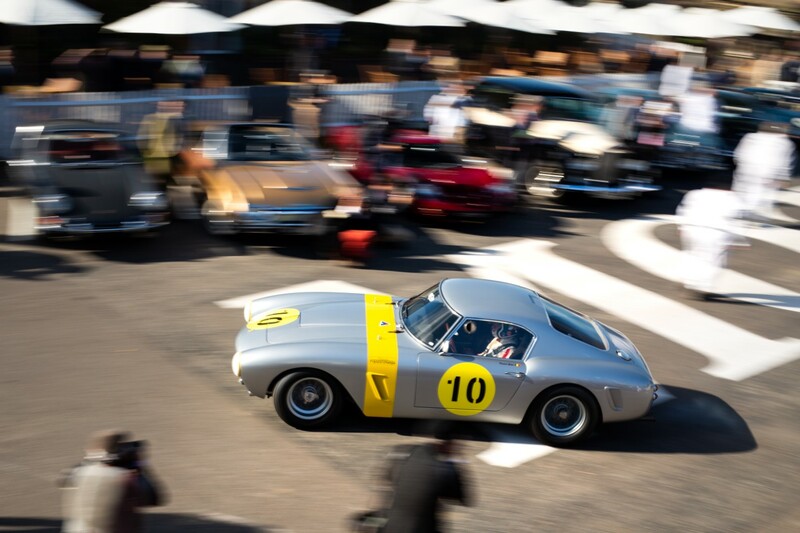 Blending cars, motorcycles, planes, fashion and culture with some of the globe’s best historic racing on two & four wheels, alongside a Bonhams auction and with more than 145,000+ attendees over the weekend (many in ’40s/’50s/’60s dress), it was undoubtedly a superb weekend, set against the enjoyable backdrop of the late summer sun. The full entry list can be viewed here. 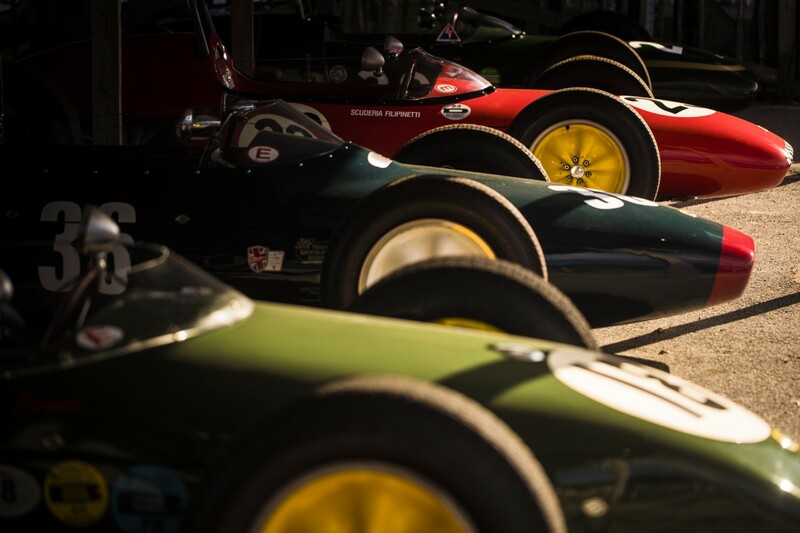 In the central paddock, where gentlemen are required to wear ties, competing cars were arranged by marque, including ERA, Maserati, Jaguar, Alfa Romeo, Aston Martin and Ferrari. 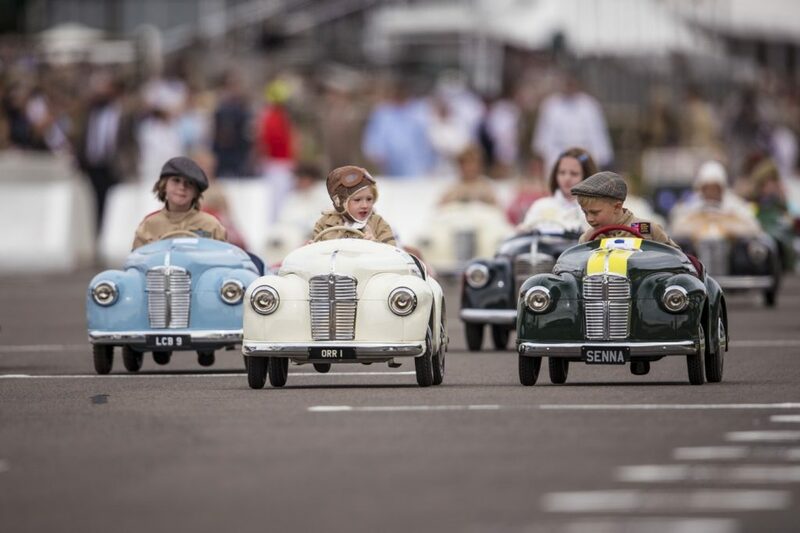 Attracting much attention was the children-only single marque entry (Austin J40 pedal car) for the annual Settrington Cup. The Earls Court Motor Show celebrated the cinematic achievements and automotive collection of the aforementioned Steve McQueen, the Freddie March Spirit of Aviation concours presented one hundred years of the RAF, whilst the competing “Driver’s Club” was set against an authentic back-drop of “Wilks’s Farm” – the Anglesey-haven of former Chairman of the Rover Company and Land Rover designer, Maurice Wilks. Founded in 1953 by heir to the Johnny Walker whisky company R.R.C. or “Rob” Walker had previously raced in the 1949 Le Mans, entering as a privateer in his beloved Delahaye 135 (complete with pinstripe suit! ), before subsequently promising his fiancee that once married, he would quit racing and transition to team ownership. 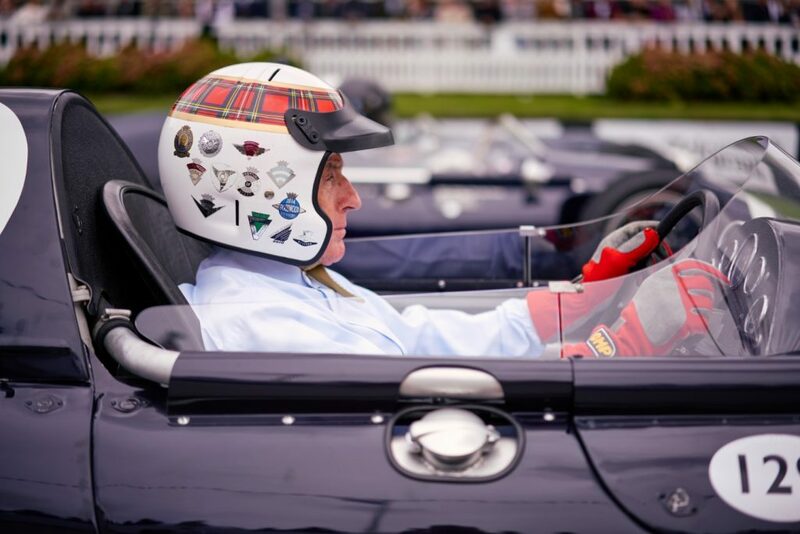 Acknowledging his Scottish ancestry, he adopted the livery of dark blue accompanied by a white stripe across the nose of a car’s bodywork and is best known for his driver partnership and multiple successes with Sir Stirling Moss – scoring the first Grand Prix victory for a mid-engined car in a Cooper T51, the first Grand Prix win for Lotus with a Type 12, and overall victory in the ’60 & ‘61 Goodwood RAC Tourist Trophy in Ferrari 250 GT SWBs. Appropriately the Dorking, Surrey-based team also scored the very last GP win for a privateer with a Lotus 49 in the hands of Jo Siffert at the 1968 British Grand Prix. 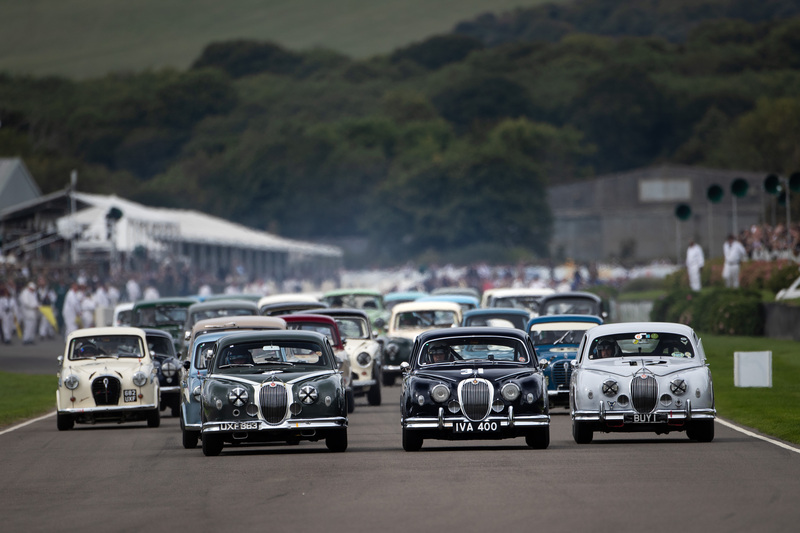 Over the weekend, a thirty car demonstration was lead by the same Delahaye (still in Walker-family ownership and driven by son Robbie), the victorious 1958 Argentinian Grand Prix Cooper, the 1961 Monaco Grand Prix-winning Lotus and the two Ferrari 250 GT SWBs used to win the 1960 and 1961 RAC TTs at Goodwood … a fitting tribute to a team principal who once declared his occupation on his passport as a “gentleman”. Like many, the Duke of Richmond had long-admired the demeanour, capabilities and achievements of “Mr Versatile”. From his Long Island NYC-roots and Californian upbringing, Gurney achieved significant success across multiple motorsport categories on either side of the Atlantic over more than four decades. 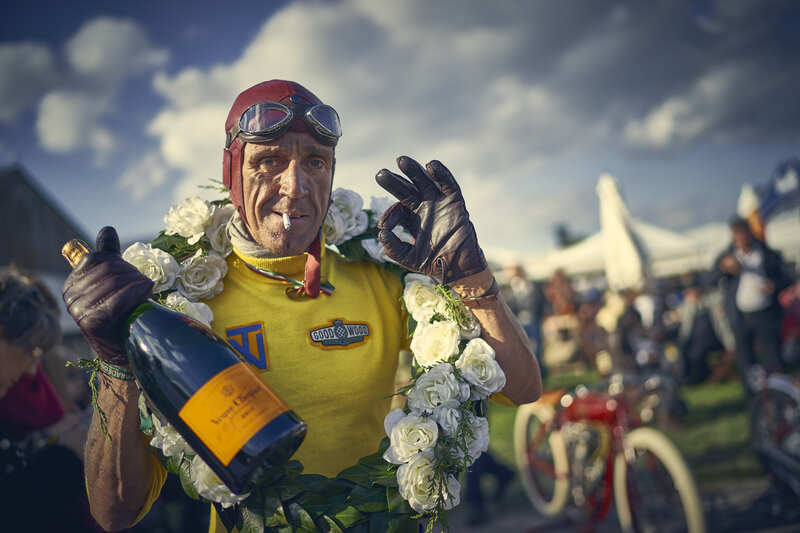 From a family of innovators he was the first to see the aerodynamic benefits of an upturned trailing-edge on the wing of a racecar, the first racer to wear a “full-face” helmet and to spray the champagne after the chequered flag…..which he first did having won the 1967 Le Mans 24 Hrs. This innovative streak lead him to co-design and race a F1 car of his own construction – the 1966 Eagle MK1 (TG1) in which, with 3.0 litre Weslake-power, he became only the third competitor to win a Grand Prix (1967 Belgian GP) in a self-designed/built chassis….not forgetting his CanAm, Ferrari sports-car or earlier drag-racing successes. Alongside Mario Andretti and more recently Juan-Pablo Montoya, Gurney is one of just three drivers to have achieved race victories in four motorsport disciplines – NASCAR, Indycar, F1 and Sports-cars. A father of six, his sons Justin and Alex supported Dan as Team Principal of All-American-Racers (AAR Eagle), achieving multiple Championship successes in CART (the forerunner of Indycar) and IMSA, whilst Toyota-powered AAR’s won the blue-riband Daytona 24Hrs and Sebring 12 Hrs. Sadly Dan “took his final checker” in January this year and to mark his life and achievements an inscription of “Viva Gurney” had been painted onto the Goodwood circuit tarmac, ahead of the start-line and fittingly the weekend’s tribute was led by his good friends and contemporaries, Sir Jackie Stewart and Derek Bell. 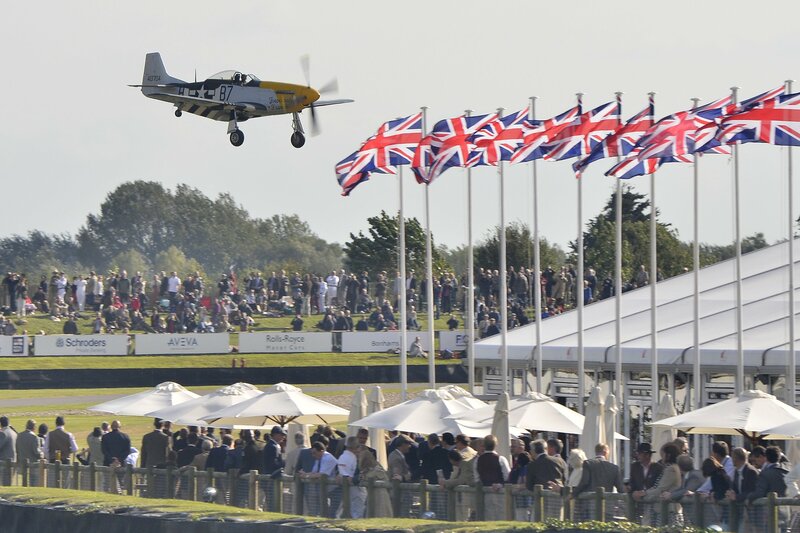 Spirit of Goodwood Award: John Bladon and his team, who went above and beyond to get their car to the startline of the Whitsun Trophy. The gearbox broke on the car during qualifying, but having found a spare one via fellow McLaren-Chevrolet owner Anthony Taylor in Lancashire, a mechanic was sent to collect it – the small matter of a 600-mile round trip. 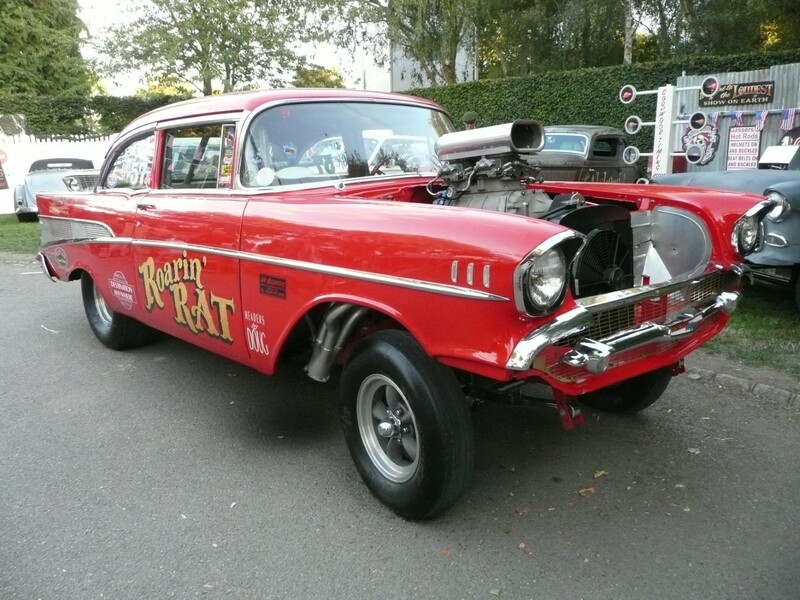 He returned to Goodwood at 2am on Saturday morning, the team fitted the gearbox during the morning, and then driver Karun Chandhok set the fastest lap of the weekend.